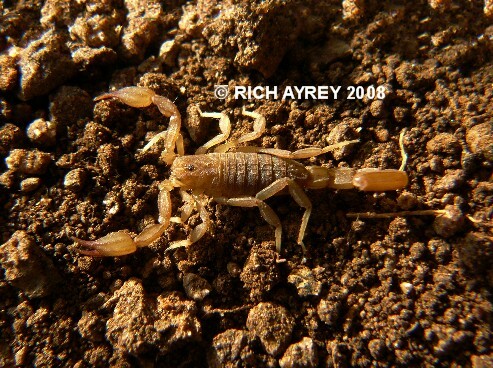 Above is a photo of Kochius sonorae a rarely seen scorpion found in South Eastern Arizona, in the area of Tucson. I am fortunate to have available pics of this species of Arizona Scorpions. This Flagstaff Arizona Scorpion site copyright Rich Ayrey 2008. Arizona Scorpion World last updated 10/05/15.